A podcast about all things Macintosh. For Mac geeks, by Mac geeks. Show 146. Foxconn admits breaking Chinese labor laws. Jobs to Keynote WWDC and show off Leopard. Rumors say we will be waiting for next gen iPods. NBC sold over 6 million shows via iTunes. Apple releases 10.4.7 and other updates. Apple opens two new retail stores this weekend. Intel ships new 2.33GHz Core Duo. More suggestions on location management, try Location X. Review of Blue Snowball USB Microphone. Apple’s repair and warranty extension programs. A simple reboot can often fix a pesky iPod. How to reorganizing your Application folder and keep Software Update functionality. Do Apple’s TV ad changes signal death of BootCamp? How to label your own content as a “TV Show” in iTunes. Promos from Neat Little Mac Apps Podcast and Scores for Movies. First Bungie (Halo), then Connectix (Virtual PC) and now iView Multimedia. Microsoft seems to be developing a good track record for buying up companies that develop great Mac software. 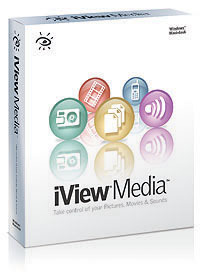 iView’s Media and MediaPro applications are some of the better digital asset management titles on the Mac. Combined they offer the next logical steps up for users who need photo management functionality beyond iPhoto. Microsoft has posted a FAQ for the acquisition and claims they plan to continue to develop iView products for the Mac. That is good news, but for some reason I can’t help feeling a twinge of sadness every time I hear Microsoft has scooped up another great developer of Mac software. I just hope the Microsoft Mac Business Unit (who does a great job) is heavily involved with the future development of the product. I also wonder if this acquisition hints to the fact that the in-house Vista photo management software hasn’t come out good as Microsoft had hoped. With the official word from Apple that Steve will give us a glimpse of Leopard at the World Wide Developer Conference (WWDC) in August the media frenzy to predict new features is starting to roll into high gear. I have already seen many of the fakes which are surfacing around the web and now there is even a how-to so you can join the party. While surfing this morning I ran across this great article on MacWorld listing 23 new features some of the best minds in Mac media would like to see included in the upcoming OS X release. As I was reading the article and nodding in agreement to many of their suggestions I realized that for almost every “feature” they were recommending, they also pointed out a 3rd party program already available and already doing the job. Then I realized while I use many of these 3rd party applications myself there were others listed that I don’t use and I am not interested in using. So why are we, and Apple, seemingly so eager to pump up OS Xs feature set? With the last few releases of OS X we know Apple has set a precedence of “borrowing” concepts from great 3rd party developers and rolling them into OS X. The downside to this “borrowing” is we often alienate and lose these developers along with their innovative thinking. Plus, I wonder if there isn’t a better argument for not integrating so many features into the OS. Design a CD Cover, win a Nano. Calling all MacCast designers… Listener Edward just dropped me a note and his band needs some help. They are currently set to release a new CD but are having a hard time coming to an agreement on a cover design. Because of their dilemma they have decided to turn to the Mac community for help. The band is called ‘reel’ and the album is called ‘escape from america’. If you can come up with the design they choose you will get full credit in the liner notes, a couple of copies of the CD and the band will ship you a brand new shiny iPod Nano for your efforts. You can listen to tracks off their CD and get more details about the design competition* on the bands web site, http://www.reelband.com/. *The MacCast is not affiliated with nor does this post serve an endorsement of this contest. Well thanks to Shooby and Colm, I just found out that Apple is celebrating the 1st anniversary of Podcast support in iTunes. Apple has set up a special section in the iTunes Music Store and the MacCast is one of the featured podcasts. I can say it is truly an honor to be featured along side other pioneering shows like TWiT, TikiBar TV, RocketBoom and others who Apple selected for this category. When I started the MacCast it was to try and deliver Mac news in a format that was easy to digest while on a commute to work. From there it grew and became a way to extend my experiences with my local Mac community and User Group. Now the MacCast has really become a global Mac community and it provides a way for us to get together a few times a week and discuss “all things Macintosh”. I had hopes, but really no idea that podcasting or the MacCast would become what it is today. I want to thank all of you who take the time to listen to a Mac Geek in his spare bed room talk about one of his passions. Without you, the listeners, there is no MacCast. This celebration is as much yours as it is mine. So grab some cake and punch and thanks for a great year on iTunes. I look forward to many more. I had planed to get a show out today, but due to unforeseen technical difficulties (see this post for details) it may be a day or two before I get the next show out. Sorry. Here is a story about why you should all do as I say and not as I do. About a week and a half ago my 20″ iMac G5 started to turn off by itself. I thought it was a fluke at first, but when it happened 2 nights in a row I began to get suspicious. So I began the normal troubleshooting procedure: plugged into another outlet, reset the PRAM, ran repair permissions, reset the Energy Saver settings, reset the SMU, etc. Now, this is my main desktop system where I store all my iPhotos and other personal files, so you would think at this point it would have been a good idea for me to make a backup right? Of course it would of, but if I had, I would not be writing this and since I am, I’m hoping sharing my story will allow you to learn from my idiocy. A podcast about all things Macintosh. For Mac geeks, by Mac geeks. Show 145. Apple conducting audit of Chinese “iPod City”. iPhoto update adds new card templates. Rumors of Apple iTunes movie deals abound. 50 Cent wants affordable Macs for inner-city residents. MacCast One Minute Tip #16 – Google Sketchup. Warning about Monolingual on Intel Macs. More tips on restoring user accounts. More ideas for keeping your Mac clean. Apple may be secretly recalling discolored MacBooks. What a “Green Roof” really is. Using keywords to determine which iPhotos are in which albums. Files won’t stay put when dropped on second desktop. Speed up saving in GarageBand 3. How to manage network connections and locations. ProfCast software help you to Podcast PowerPoint and Keynote presentations. A podcast about all things Macintosh. For Mac geeks, by Mac geeks. Show 144. Bill Gates will step down in 2008. Apple lowers iPod Nano and other pricing in the UK. New iPods you won’t touch. Is Apple going to make an ultra-portable? Boston may be getting the next Apple Flagship store. Users reporting stains on white MacBooks. How to clean your Mac. Response to Norway and EU iPod/iTunes complaints. An application for helping manage multiple iWeb sites, iWebSites. Additional tools for freeing up OS X disk space by removing extra languages. How to find and use special characters and bring back the lost KeyCaps utility. How to turn your spare change into iTunes music. How to determine which pictures are in which albums in iPhoto. New MacCast widgets now available on MacCast.com. UPDATE/ WARNING: I have been made aware of a potentially BIG issue with Monolingual if you own an Intel Mac. By default Monolingual is set up to remove the PowerPC “architecture” on Intel based Macs. Removing this architecture will cause Rosetta applications to no longer run. So if you use Monolingual make sure to uncheck all the options to remove architectures. If you have already been effected by this issue I have heard you need to do an Archive and Install of Tiger to get Rosetta functionlity back. Jon from The Flip Side (widgetshow.com) has been hard at work creating a new MacCast RSS Widget for Dashboard and it is now available for download. Get it here. This one provides some great options for keeping up to date with the MacCast. Choose from 3 different feeds (Podcast, Blog or Comments), set your desired article length, perform quick MacCast searches right from the Dashboard and more. All this and it look great too. And in case you missed the “Original” MacCast RSS Widget make sure to checkout the one created by Joe “The Dead Herring” Sayer and Matt Hoult. It’s still available here.